Don't be fooled by this photo. 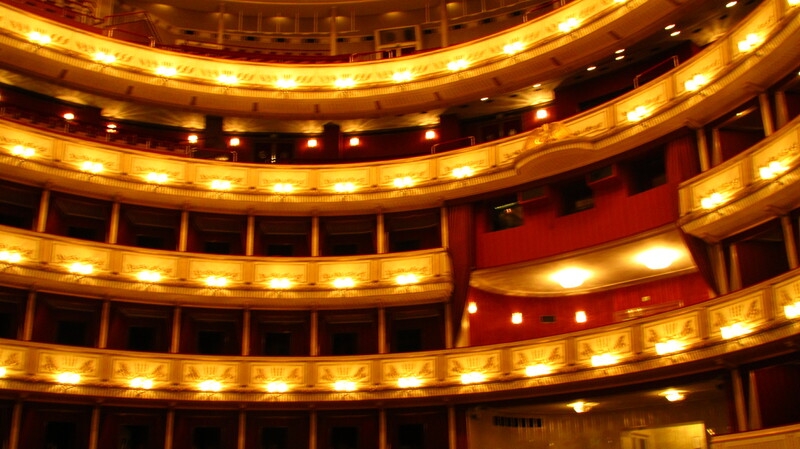 This blog post is not about the Vienna Opera House. A blond long-haired woman with a man in a blue-and-black sports coat chattered their way down our town’s main retail avenue yesterday. They were speaking English, but more than that, the man’s coat colour screamed “North American” to us. 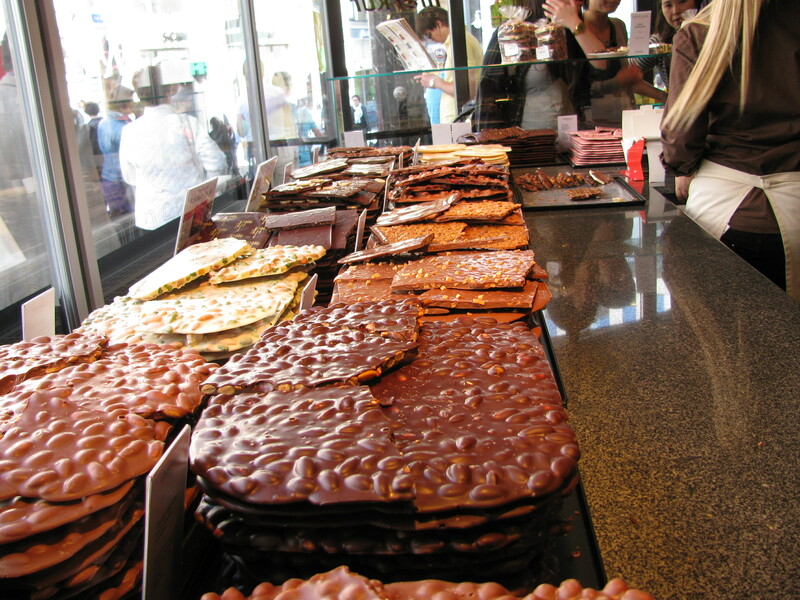 Swiss men usually wear black, grey or brown coats. So do Swiss women, now that I think of it. In our hotel lobby, we overheard a man trying to get a French translation from our hotel desk staff to explain kitchen drawer and cupboard liners. What do all of these people have in common? It’s not only that they were fluent native-English speakers. They were also all besieged by us. Yes, we have reached the point where we will talk to anyone, anywhere at any time on the sole qualification that they are native English-speakers. And, it doesn’t matter whether they want to talk to us. This is a matter of social conscription. 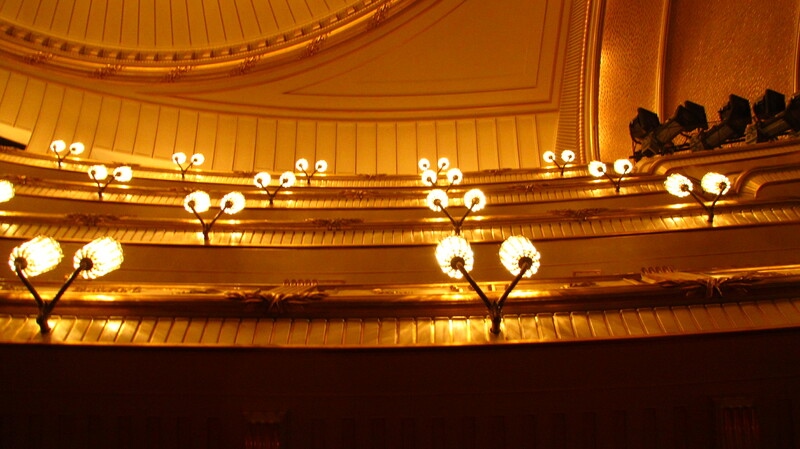 Looking up at the Vienna Opera House. This photo has nothing to do with this blog post, but I am trying to get through all our holiday photos. We’ve been here for about 10 months, which is a long time to go before breaking into this uncontrolled yammering, but that’s because English is not so rare here. We enjoy conversations with many, but those conversations still hang up on cultural reference points, a fact under-scored when we make a joke that fails to hit its mark. When we lived in Spain where English was more of a rarity, we entered this yammering phase within the first week of arrival, just to give you an idea of how starved we were to hear our own language. It changed our perspectives on immigrants who are often accused of forming their own insular communities in Canada. I know now that if I showed up in Toronto fresh from China, I’d head for Chinatown, too. There’s no intention on the immigrant’s part to stand apart from their new country – they just need that fresh drink of water that is conversing in a language in which they can be their eloquent, witty selves… or in which they can be jerks, if that happens to be what they are in their home country. Being a jerk in your own language is still more fun than being a jerk in someone else’s. As one other English-speaking former Manitoban’s husband, a couple who is also “stuck in Switzerland,” might quip: The English colonial beachhead has been established. If you grasped the flow of that last sentence, and you show up in our town, you just might become one of our best friends. Note: It turned out the man in the blue and black jacket was Swiss, but his shopping friend was from New York. 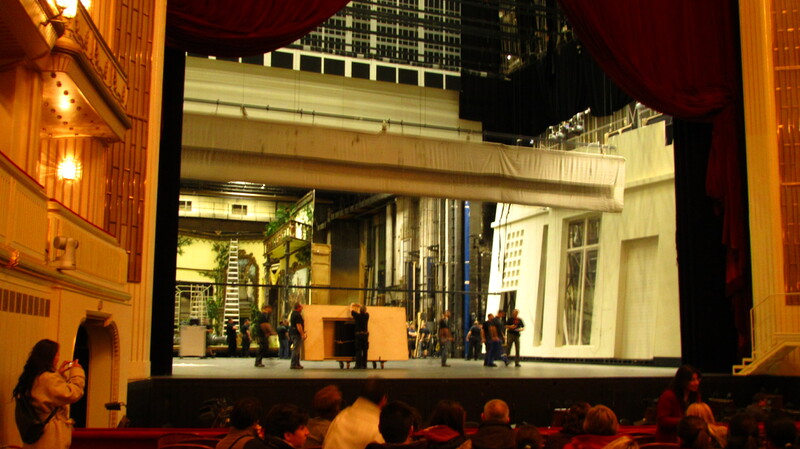 While were at the Vienna Opera House, the stage workers were prepping for an evening performance - the stage itself is an impressive engineering feat that is essentially a rotating elevator that can shift 40 tonnes 28 feet before and 10 feet above. This picture does not do justice to the size of the stage either. Those Viennese - where opera is concerned, they are not just kidding around. Much is lost in translation… Saturday, I overheard a guy in the lobby make a joke about “cheeses of Nazareth”. No one in his group understood, and he had to explain it until they pretended to get it. (Clearly they didn’t, btw.) I realized how much of our humour requires the same native language.